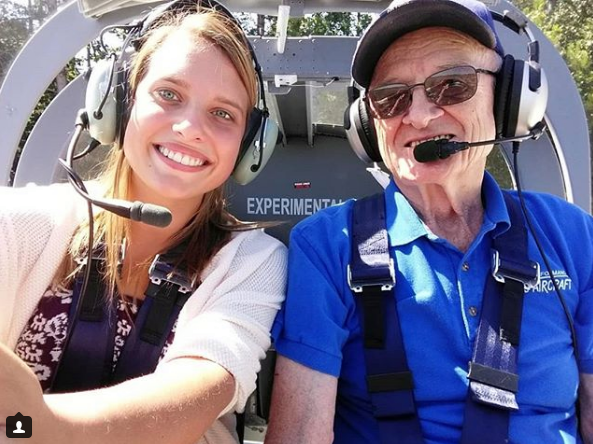 Shannon Hoyt, a Professional Communications and Emerging Media alumna who just graduated last spring, has been truly making the most out of her degree. She is currently a full-time multimedia journalist and weekend anchor at WQOW News 18 in Eau Claire. “My job includes writing for web and anchor scripts, editing, filming, interviewing, and more. As an anchor, my responsibilities include producing three shows each weekend. The workload is heavy as a multimedia journalist and anchor. But at the end of the day, you get to look at your work and call it completely your own,” said Hoyt. She was the most recent editor-in-chief of the Stoutonia, which includes a lot of editing and interviewing as well. “It’s funny, because Stout doesn’t necessarily have a broadcasting program. However, my program prepared me to work hard and smart. I learned how to be a good journalist. That’s all I needed in order to take on any position in my field,” she said. Hoyt started at WQOW as an intern last August. After that, she went back into her last year of college. “Two months later, the company asked me to come back part-time. That doesn’t happen for college students. Usually the station doesn’t take on very many part-timers. But the timing was right, and I was back at it!” said Hoyt. To start out, she began training as a fill-in producer and anchor. “The station wanted me to train because they saw a lot of potential in me as a future anchor, said Hoyt. In May, she became the full-time reporter and less than four months after that, she became the weekend anchor. Shannon (left) about to head into the sky! “As luck would have it, there were some busy days at the station, and so they asked me randomly to anchor and produce News 18’s Live at Five show. That was my first time anchoring,” she said. 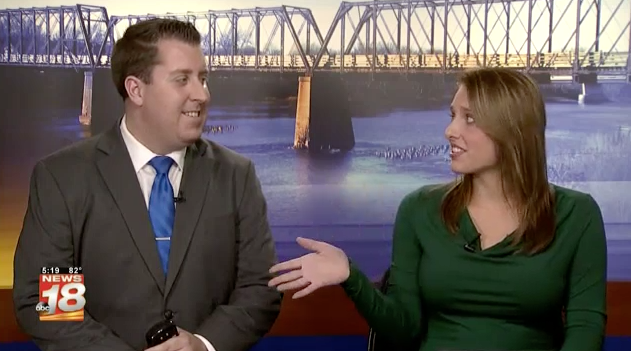 Her hard work has paid off because now Hoyt is the official weekend anchor. She will be anchoring for News 18 on Saturdays at 6 and 10 p.m. and Sundays at 10 p.m.
“I’ve only been at WQOW for 7 months, so in just seven months, not having a broadcasting background, I made it as anchor. I have been so happy and proud to be a part of the WQOW team,” remarked Hoyt. She expressed how she would want to eventually move to a bigger market in the future. However, at the moment she doesn’t know for sure. “The funny thing about working in broadcasting is that you really never know where you could end up, but the possibilities are endless!” said Hoyt.